Aufait is known for digital transformation within its digital workplace solutions and for creating incredibly personalized experiences. 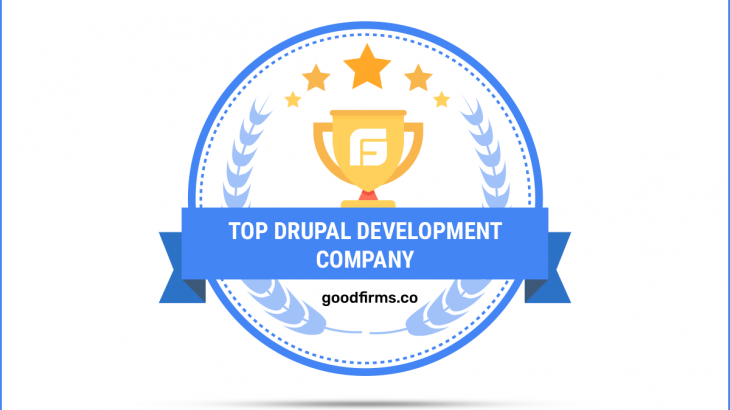 The prospect of providing the best possible web solutions has paved the way for the company to lead globally among the best Drupal development companies at GoodFirms. Incepted in 2003, Aufait helps the organizations to adopt technologies such as enterprise 2.0, mobility and Cloud. The company is the best technology company converged on custom SharePoint development to create digital workplace solution for businesses on Microsoft technology. Aufait thrives in building an enviable reputation on the online portal – web and mobile application respectively. Aufait has a proven track of records in accouching projects successfully with excellent feedback from the clients with the help of Microsoft accredited team of consultants. The company focuses on developing and delivering digital workplace solutions with evolving technologies. The business acumen of the team at Aufait have taken the company to the pursuit of perfection. GoodFirms keeps evaluating companies as B2B research, ratings and reviews platform to support the service seekers in associating with the top businesses that match their project and budget needs. The analyst team of GoodFirms performs a scrupulous evaluation by following three main elements that are Quality, Reliability, and Ability. These key factors include several other aspects that are used to evaluate each company such as determining the past and present portfolio, years of experience in their proficiency area, strong market penetration and reviews from the genuine clients based on their services. Likewise, Aufait was also evaluated by GoodFirms for its service-offerings in Drupal development, web designing, and Big Data respectively. It was found that the company has carved its oriel and will soon lead in all the three categories among the best companies enlisted at GoodFirms in its respective service-offerings. Aufait oozes high performance and amazingly designed Drupal websites that help to create an excellent personalized experience. Having a wide range of experience in developing professional, powerful and innovative Drupal websites, Aufait will soon earn a position as one of the best Drupal development companies at GoodFirms. Aufait is having a well-experienced team of Drupal developers who dedicatedly renders the best possible solutions to clients which are efficient, easy to access, and cost-effective. The group provides the best solution to the public-facing websites, which are simple and easy to execute as per the structure of the client’s business. Aufait through its agile, scalable and secured web designs is successful in rendering websites to startups and established businesses. The web designing team at Aufait works independently offering products giving a great clientele experience. The organization guarantees that the design reflects the message of the brand of clients’ business which resonates with the intended target audience. The well-versed designers at Aufait offer clients’ the design and technology as per the modern trends and tactics. Right from planning to the execution of the design, the professionals work jointly with the clients to make sure that the product delivered is matching the clients’ requirement. Thus, creativity and usability are reflected at every stage of the project to make the client satisfied; this approach by the expert web designers make the GoodFirms researchers believe Aufait will soon lead among the best web designers enlisted at GoodFirms. Aufait renders meaningful BI solutions utilizing Microsoft BI solutions. Big data solutions enable the clients in decision-making by providing all the business related information. Experts at Aufait are always ready-to-help the clients to convert the raw data into a reliable piece of information. The team guides the patrons in gaining the performances by implementing best practices and strategies. Moreover, the Big Data Analytics offers a comprehensive range of features that can give customer-satisfaction around the globe. These features offered by the company has raised the expectation of GoodFirms’ research team that Aufait will soon lead amongst the best big data companies listed at GoodFirms. Washington, D.C. based GoodFirms is a maverick B2B research and reviews company that helps in finding Drupal development, web designing, and big data companies rendering high-grade services to its customers. GoodFirms’ extensive research process ranks the companies, boosts their online reputation and helps service seekers pick the right technology partner that meets their business needs. General Aufait, goodfirms, top drupal development company. permalink.